We are a well-established company specialising in all kinds of fabrication of steel and stainless steel. With over 20 years’ experience in the trade we are the South West’s premier fabrication specialists. We will be happy to talk you through the options and find the steel fabrication solution for you. 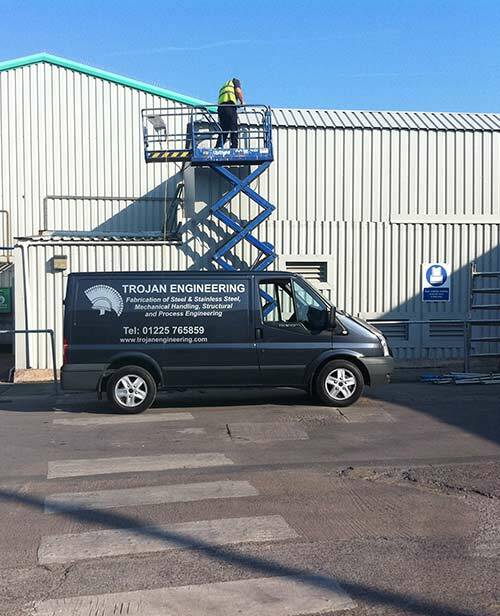 Our staff are fully industry trained, with risk assessment and liability insurance held by the company to ensure a healthy, safe working environment on all our sites. We ensure that all our projects meet industry standards and we put together regular method statements that are then available to all our customers. If you are looking for steel of any specification, contact us today. With our vast experience in the fabrication of steel, we are happy to advise and quote on any project. If you have a project in mind and would like to talk to us about it you can contact us on 01225 765 859 or alternatively you can email us.